Does it seem like you spend hours and hours each week reading blogs that fascinate you? And after you’re done, do you stare into space above your computer or phone screen, wondering what two cents you might have to offer the world? Guess what: the world wants to hear your voice! The problem is that among so many millions of other voices, yours can be hard to hear. Creating a blog that people can actually find and that they’ll want to read can be challenging. 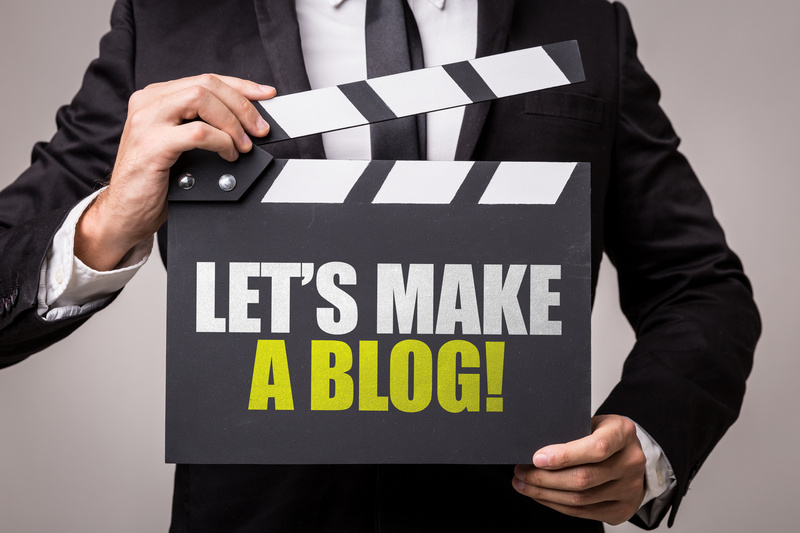 There are a few tips and tricks, though, that will make your blog stand out from the crowd. Keep reading to learn how to create a blog from idea to conception, and how to write blog posts to fill it with. When starting a blog, several platforms are available to pick from. You should pay attention to their features, support, and usability. If you think your platform doesn’t matter, think again. Each has its own distinct features that you should definitely read up on before choosing your blog’s new home. WordPress.org is one of the most popular blogging platforms out there, thanks to its versatility. Here’s the deal with WordPress. There are two different websites: wordpress.org and wordpress.com. WordPress.org is a blog-building platform on which you can construct your blog from scratch, pulling from over 55,000 plugins. It’s free to use, but you will have to pay for a domain name and hosting. You can do this through WordPress or through a second party. Learn more about hosting options on Bluehost, a hosting service that offers everything from email accounts to 24/7 online support. WordPress.com, on the other hand, is the hosting service created by the same founder of wordpress.org. Blogger is an awesome option for those who aren’t super techy. If you don’t want the hassle of building your own blog from scratch, Blogger is probably for you. They have plenty of nice templates to choose from, and anyone with a Google account can comment on your blog posts. The downside to Blogger is that it’s not updated as regularly as WordPress. That means fewer theme rollouts and bug fixes. If you want to add a social element to your blogging experience, Tumblr is the way to go. When you sign into the site, you’ll be faced with your own personal feed of posts from blogs you follow. Tumblr amasses them for you in one convenient newsfeed, so you don’t have to hunt all your favorite Tumblr blogs down to stay updated on their content. Tumblr also makes it super easy to interact with your blogging community. You can like or reblog other people’s posts, either adding them to your own favorites folder or posting them on your own blog. They also feature really clean, simple themes that can come off as artistic or as professional as you’d like. If you’ve chosen to go with wordpress.org, you’re going to need to get external hosting. Blogger and Tumblr will both host your blog right on their platform. Once you’ve got your hosting all squared away, you’ll want to get your own domain name. 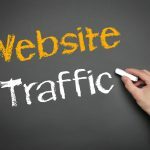 Although most blogging platforms will give you a webpage address, it’ll usually be a spin-off of their website name, such as thisisanexample.blogger.com. If you want a normal domain, like yourname.com, you’ll need to pay a hosting service. These can cost anywhere from $10-$1,000,000 monthly (really). The higher demand there is for your domain, the more it’ll cost you to keep month to month. Sticking to your name is usually a good idea. It allows for more personal branding, and will usually be on the extra low end of this cost spectrum. Once you’ve signed up for all the services and platforms you’ll need, you can start to design your actual blog! Each blogging platform will offer a selection of free themes to base your blog on, but you’ll also be able to find some third party themes out there if none of them suit your fancy. Using a minimal design is usually a good go-to since that design style makes a blog easy to navigate. If minimalism isn’t your thing, just be sure to create clear-cut navigation through your blog to ensure your readers won’t get lost. WordPress has a whole host of user-created plugins that you can choose from to add to your blog. You can find contact forms, password protection, and even SEO optimization to your blog simply and easily through plugins. Blogger features plugins like this as well, but Blogger hosts them. They offer a more limited selection, but installing them is super user-friendly. You can literally drag and drop your Blogger plugins into the spots you want them on your site, making it easy as pie to add diverse elements to your blog. Tumblr offers the least in the way of plugins. Their plugins are built into different themes, so you won’t be able to customize your readers’ experience much. They do offer plugins for your newsfeed experience, though! Your platform is chosen, accounts are made, and your blog is finally designed to your liking. Before you add content, consider writing some compelling copy to introduce your readers to your little corner of the internet and let them know how to get in touch with you. On your about page, tell your readers a little bit about yourself, where you come from, and what your interests are. Readers love when they feel like they know the person on the other side of the screen, so don’t be afraid to get personal! Add a picture so they can put a face to the name, and tell a little about your blogging niche, so they know what to expect from your content. On your contact page, include your email address, but never your personal phone number or address. After all, your site will be public! Invite readers to get in touch to discuss your content or anything else that may strike their fancy. Building an online community is one of the best perks of blogging. You’ll definitely get some emails from new friends wanting to talk about the ideas you’re sharing that week. Now it’s time to get to the nitty gritty: actually writing your blog posts. If you’re scratching your head wondering what to write about, pull out a piece of paper and a pen. Write down ten things you know anything more than the average person about. You don’t have to be an expert on a topic to write a blog post. In fact, it’s this sort of thinking that keeps so many bloggers in the dark, feeling unqualified to share their ideas. You are qualified to share every idea you have, every day. You’re not claiming expertise, but you are claiming your own experiences. Own them. After you’ve got your list of ten things you know something about, break it down even further. Think of three potential blog posts you could write on each topic. See? It’s that easy. After this exercise, you’ll have thirty–count ’em–thirty blog posts waiting to be written. Starting a blog can be intimidating, but just remember that it’s your space to share your ideas. If you put “photography” on your list of ten areas of knowledge, like in the example above, you’re lucky. Not everyone has that skill, and finding engaging visuals for your blog can certainly be a challenge if you’re no good behind a lens. Plenty of free stock photography websites are out there that will allow you to use images royalty-free. This is a great option for the beginning blogger who basically just needs content to get up and running. Once you (and your readers!) fall more and more in love with your blog, though, these won’t feel good enough anymore. This is because they’re not necessarily specific to you, your brand, your voice, or your content. Luckily, smartphones nowadays grow better and better at taking professional-level photos at a fraction of the cost of professional cameras. If you don’t have the interest in getting into photography, stick to providing your own visuals using your phone. It’ll feel more personal for your readers, and will even probably spur new content ideas for you! 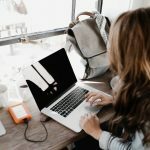 Hopefully, you’ve learned enough blogging for beginners tips and tricks here to open a new tab and create a blog right away. Before too long, your blog will be read by so many people that you’ll be able to host paid advertisements! Want to learn more about how to run a successful blog? Check out our other content strategy articles. We love to share knowledge that helps bloggers like you reach their writing goals!